Leaving the lights and glamour of Paris behind is never an easy task! Neither is settling back into the routine of college and work again. After a mini break with my friend to the romantic city of lights, I thought I would share my recent French cuisine experiences with you. No better way to kick it off than with Le Schmuck. 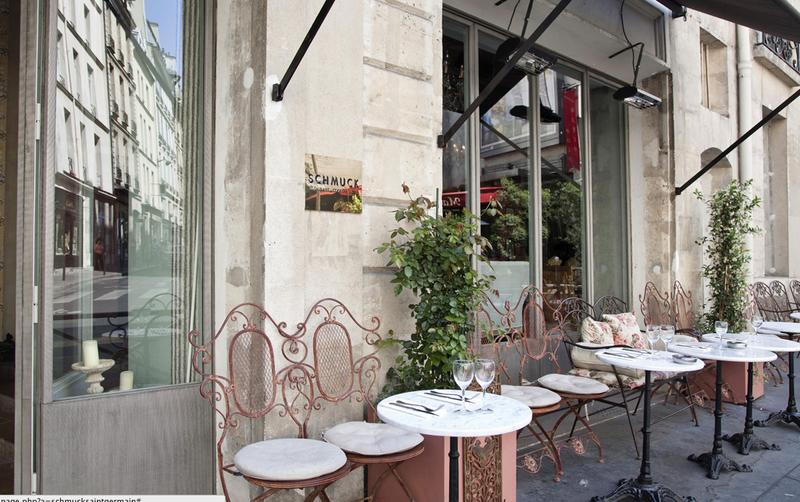 A super chic and relaxed restaurant tucked away in the 6th arrondissement, Le Schmuck offers a cool and desirable dining experience in the heart of Saint Germain. I was here during late lunch time about 2 o’clock. There was one waiter serving the whole floor and two gentlemen who later sat outside with their cigarettes and coffees, how very French! Service was a bit slow to start. It was close to 10 minutes before we got a menu. That said it was busy and from there on in the service was very attentive. Our waiter was very friendly and looked more like a Dior model than a waiter. The atmosphere is very relaxed and chilled in Le Schmuck. You can expect to hear a mix of mellow, laidback tunes with a bit of Kanye West’s slower less aggressive numbers. For main course myself and my friend both ordered burgers, cooked to order. Both came with skinny French fries and a lightly dressed garden salad. I had originally ordered a chicken and chorizo dish to try something different but they were all sold out. A warning for those of you who freak if they see ‘red’ in their meat, I ordered my burger “medium” which, if I’m honest was a little bit too raw for me but it was still juicy and tasty minus the slightly red colour when I cut into it. 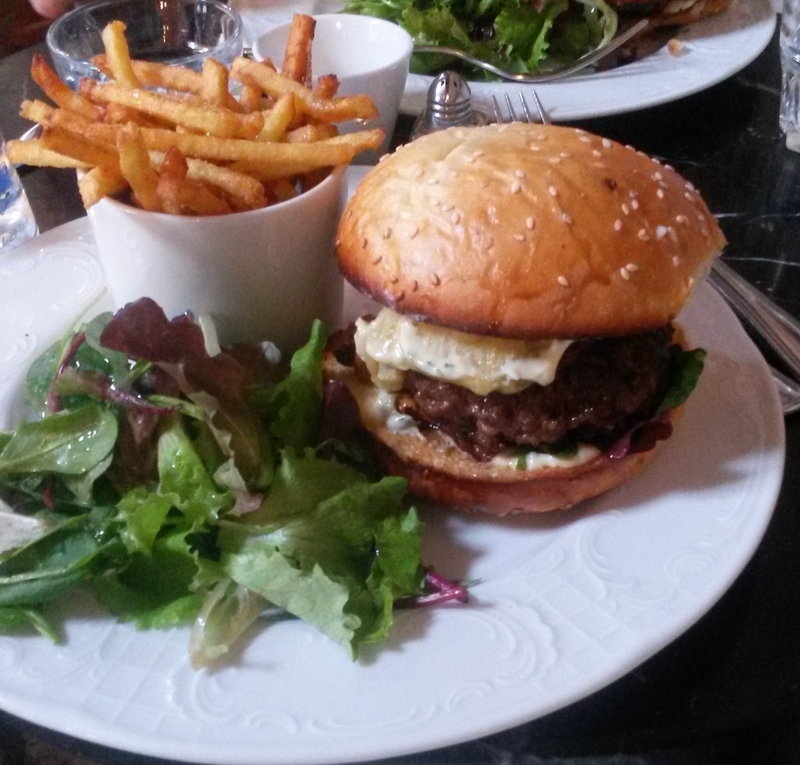 The burger itself was garnished with cheese, lettuce and a mayonnaise sauce and tasted divine. Onto the piece de resistance, dessert! 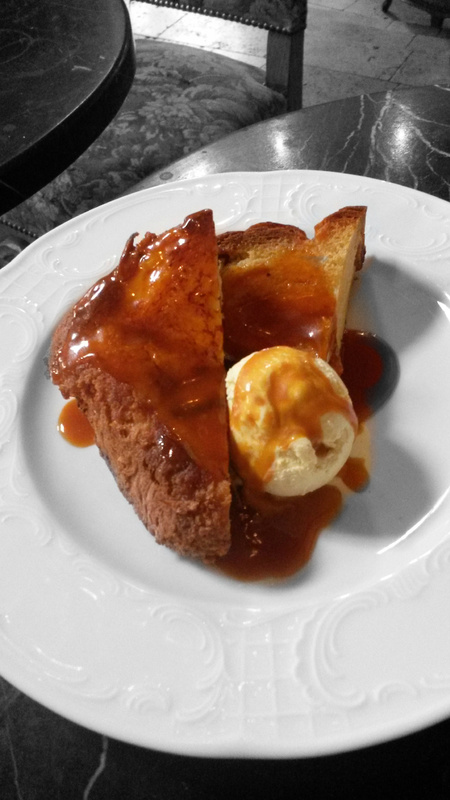 Homemade French toast (made with thick, fluffy brioche) with salted caramel and a scoop of vanilla ice cream. 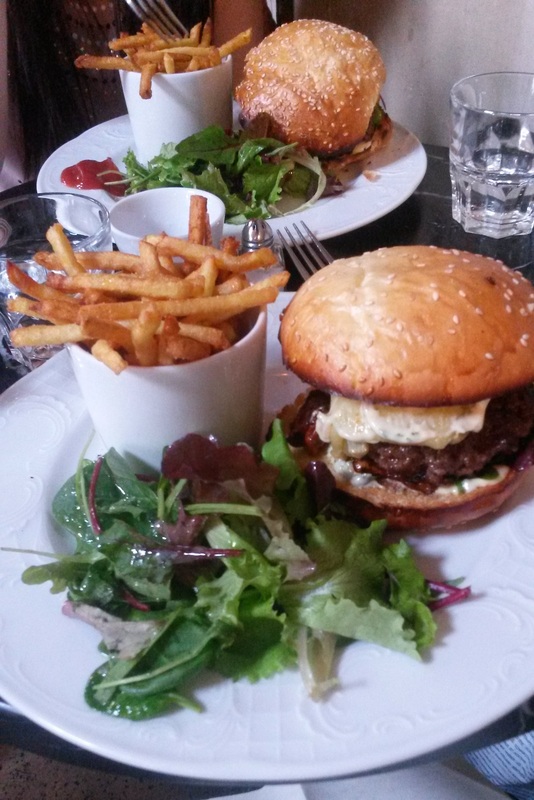 This was heaven on a plate and the main reason I took a trip out to Saint Germain. I saw this dish on a blog I follow ages ago last year and since then I was hell bent on tasting it. 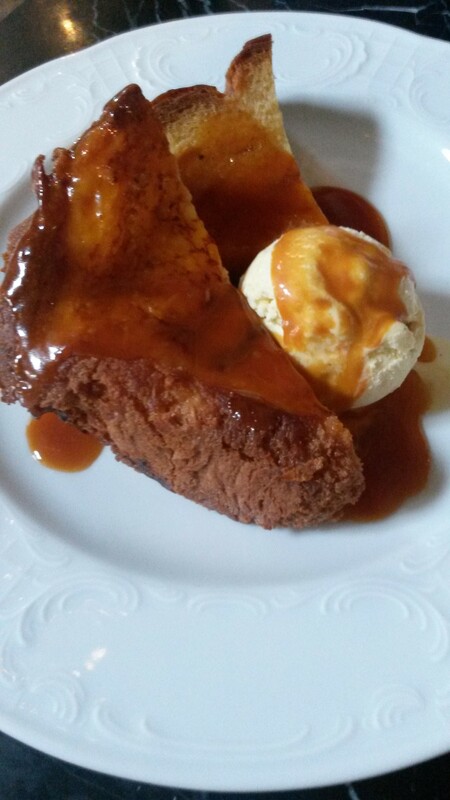 It was definitely worth the wait.The caramel was incredible and worked so well with the french toast. Two foods I would never have thought to put together…De-licious! 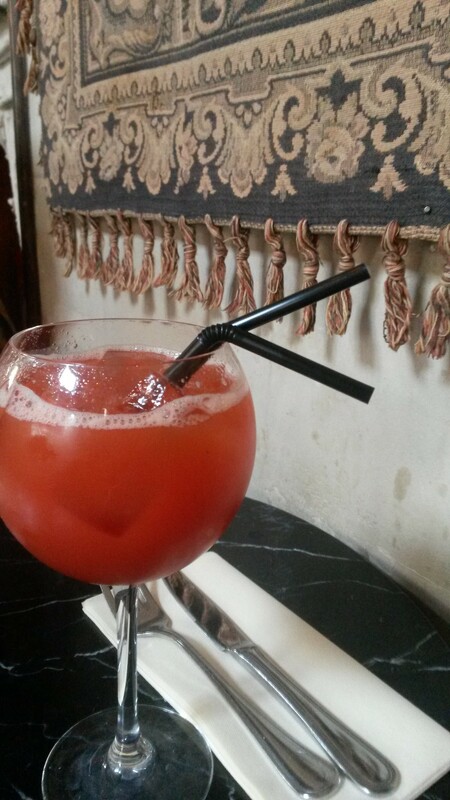 I also ordered a raspberry, passion fruit and orange juice mocktail which was sweet and sugary. The restaurant also doubles as a cocktail bar with an extensive cocktail menu, which would be perfect for a girly night out or as a general night out. Price wise, I thought Le Schmuck was reasonable. This all depends on your budget and expectations. Personally I wasn’t shocked that it cost €19 for a burger. I had read reviews online complaining about the pice but location, service and the quality of the food considered I thought these were a bit harsh. If money is an issue I would advise just ordering a delicious dessert instead. Shabby-Vintage-Chic comes to mind when I think of the décor. The restaurant and toilets have printed wallpaper full of birds, stripes, and trees. There are also rugs or tapestries hanging randomly along the walls along with mirrors and framed pictures. 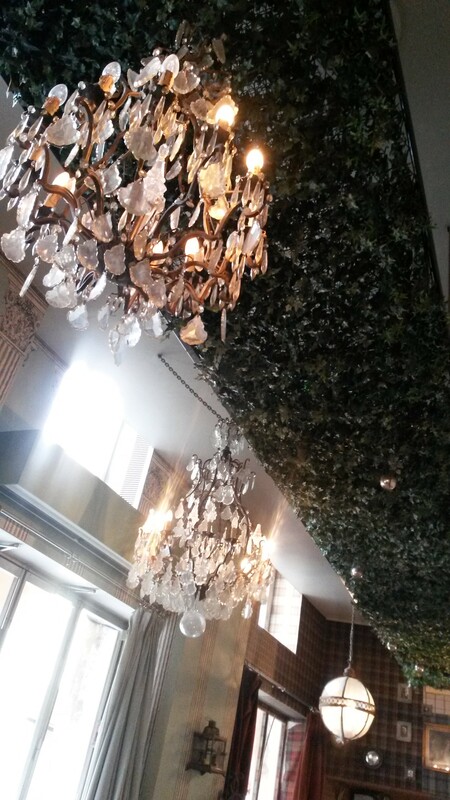 There are numerous sofas and floral printed chairs that you might find in your Granny’s house, added to this the chandeliers hanging from a faux vine ceiling it sounds higgledepigglty but it all merges seamlessly. 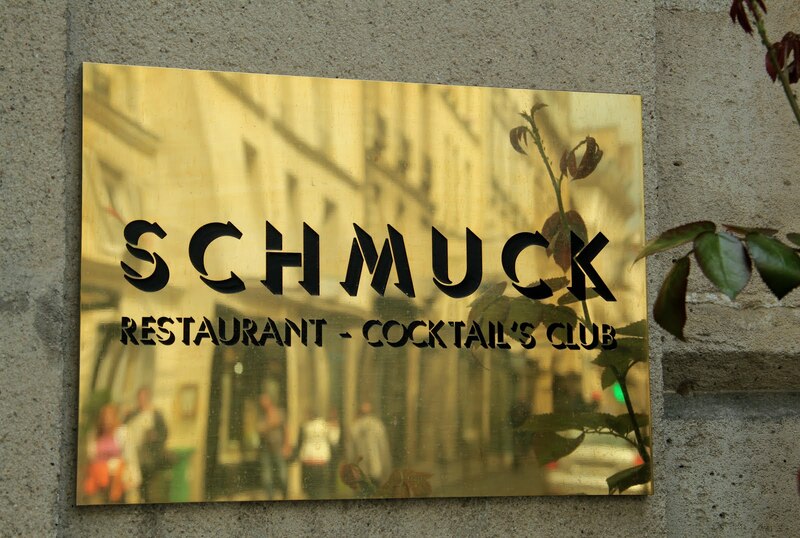 Let me know if you have ever eaten in Le Schmuck and if you enjoyed your experience there, good or bad. 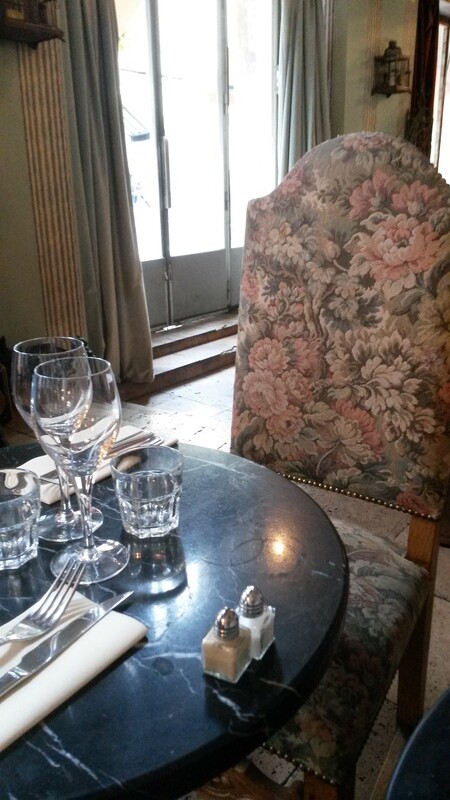 This entry was posted in Lifestyle Posts and tagged burgers, caramel, dinner at le schmuck, Food, food review, french toast, Le Schmuck, Le Schmuck Paris, le schmuck restaurant, paris, restaurant review, Saint Germain, saint germain restaurant. Bookmark the permalink.